Unfortunately I didn't capture my painting in progress before the sun went down, which is a bummer because it would've really gone well with Wednesday's post. Ah well. On the other hand, I've been reading some incredible books and focusing on clearing surplus out of my house. Think I may need moving boxes! so. much. STUFF. Today is the beginning of my spending break. I was prepping my kids and their first question was, "What does this mean [for me]?" I explained that we wouldn't be eating out and no QT runs (a favorite gas station stop). But I am going to give them a little moo-la on the front end to do with as they will (in case of a fast-food withdrawal emergency). Other than that, it's down to the bare necessities. Click here to read the next update! love that song and I agree, it's great to take time to get back to the bare necessities from time to time! Such a great song! And I am trying to do the same. Though confession: my resolve wavers when I get a big load of work with a tight deadline. ;) Good luck to you and I can't wait to hear how it goes! I'm with you on simplifying and not spending money, though. 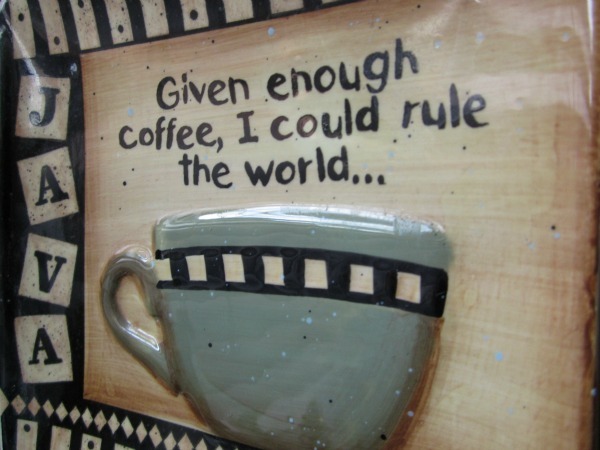 Ha, too lazy to rule the world, I like that. :) I'm learning more and more about simplifying; it's so inspiring. Thanks, Melissa. Yes, I'll share about the books!